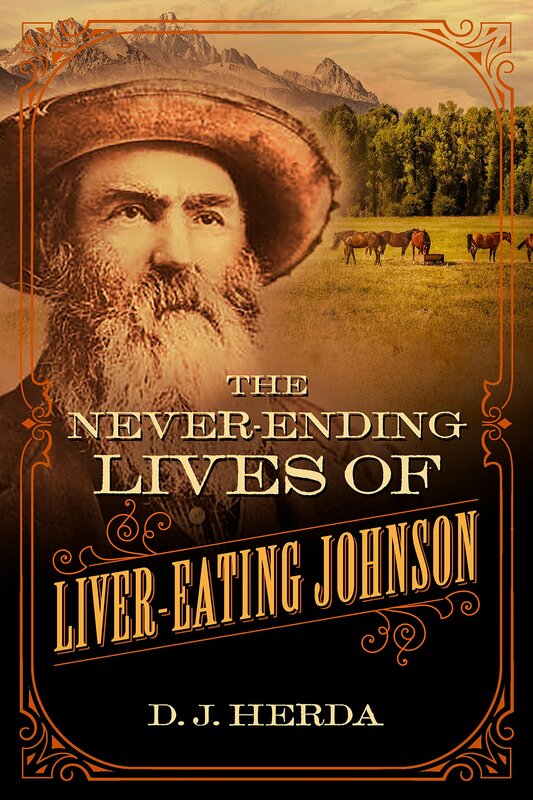 THE NEVER-ENDING LIVES OF LIVER-EATING JOHNSON by D.J. Herda. Published by TwoDot. Available June 1, 2019. Photos courtesy of the author. Some called him Crow Killer. He went on a twenty year spree, killing every Crow warrior he encountered after a group of them killed his wife and unborn child. Others called him Liver Eater because, it was said, he cut out the livers of those he killed and ate them, because he knew this would keep them out of a happy afterlife. He was alleged to have killed over 300 Crow warriors. He maintained that he never actually ate a single liver. Hollywood even made a movie that was loosely based on his life. His first name was John. His last name may have been Garrison, or it may have been Johnston. Whichever it was, he has come down through history as John Johnson, Mountain Man. He was born in New Jersey. He became a sailor as a young man. After disrespecting an officer he deserted, went west into the Rocky Mountains, and became a legend. Mountain man, lawman, tracker for the Army, he became all of these things. He enlisted to fight in the Civil War. He died in the National Soldiers Home in California in 1900, at the doorstep of the 20th century. Author D.J. Herda has deftly separated the man from the myth in THE NEVER-ENDING LIVES OF LIVER-EATING JOHNSON. 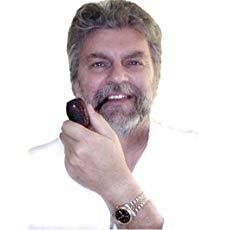 Johnson was a true enigma, a man capable of great violence and retribution against his enemies, while at the same to being extremely loyal and kind to his friends and strangers, and to small children. Johnson was also a man who took advantage of the legend that grew around him. Herda writes of people who spoke in hushed tones whenever Johnson came around to local forts or towns to purchase or trade for supplies. He was greatly feared and respected by the Crow, who had sent out a party of 20 warriors to hunt him down and kill him. In his final years Johnson apparently made peace with them, boldly riding into their camp and sitting down with their leader, knowing at any moment he could be subjected to a very slow and very painful death. It’s obvious that Herda has made excellent use of available primary and secondary source material, much as he did in his previous book about Calamity Jane. Herda exacts no judgment on Johnson. He presents both the facts and the myths about his subject and leaves it to the reader to ponder the person. Johnson was definitely a product of his times and the world in which he moved. We should not take him out of his time and judge him by 21st century standards. Like every other man who chose to live an isolated existence in the Rocky Mountains, he did what he had to do to survive. John Johnson managed to live a long and eventful life, participating in many important, and sometimes tragic, events in American history. The Rocky Mountains were his true home. And some folks say he’s up there still.